3GPP standards development falls into three principal areas: radio interfaces, core networks and services. 3GPP Release 11 standards were frozen in December 2012 with the core network, protocols in December 2012 and radio access network (RAN) protocols in March 2013.For LTE, Rel-11 provides enhancements to the LTE-Advanced technologies introduced in 3GPP Release 10. Provides better support for TDD configurations in which the TDD UL and DL can be configured differently on each of the component carriers and bands either in a full-duplex or in a half-duplex mode. Allows multiple timing advances in UE different for each component carriers to support the case where the transmission delays from the UE to the eNodeB are significantly different for each of the component carriers. Enhances Uplink signaling with the support of multi-cell periodic CSI multiplexing and multi-cell HARQ-ACK and periodic CSI. Also, transmit diversity is supported for PUCCH for the case of HARQ-ACK multiplexing with channel selection. 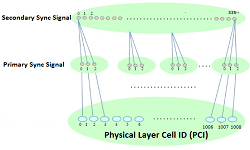 Coordinated Multi-Point (CoMP) transmission/reception is a feature to improve coverage, cell-edge throughput and/or spectral efficiency.The idea behind CoMP is UE’s location, UE may be able to receive signals from multiple cells and the UE’s transmissions may be received at multiple cells. If the transmissions from the multiple cells are coordinated for the DL, the performance can be increased significantly. This coordination can be simple, as in the techniques that focus on interference avoidance, or more complex, as in the case where the same data is transmitted from multiple cell sites. 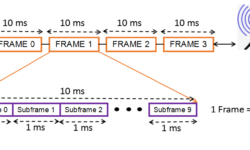 For the UL, the system can take advantage of reception at multiple cells to significantly improve the link performance (e.g. through techniques such as interference cancellation). 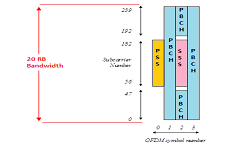 The main enhancement in LTE-Advanced Release 11 for supporting DL CoMP is the provision of a new Physical Downlink Shared Channel (PDSCH) Transmission Mode 10 (TM10), which includes a common feedback and signaling framework that can support CS/CB and DPS. Uplink CoMP implies reception of the transmitted signal at multiple geographically separated points. Scheduling decisions can be coordinated among cells to control interference. Since UL CoMP mainly impacts the scheduler/receiver, it is mainly an implementation issue. Further enhancements to non-carrier aggregation based eICIC (FeICIC). It includes further reduction in interference through cancellation of interference on common control channels of Almost Blank Subframes (ABS) caused by Common Reference Signals (CRS) of high power macro cells and better detection in the cell range extension region around a picocell of critical broadcast system information. The interference cancellation receiver fully handles colliding and non-colliding CRS scenarios and eases the need for cell planning of heterogeneous deployment. Without an IC-capable UE receiver, heterogeneous networks’ eICIC can only work effectively for non-colliding CRS cases. In Release 11, the network can signal assistance information to UE for CRS interference cancellation which involves signaling of interfering neighbor macro cells information. Enhanced Physical Downlink Control Channel (EPDCCH) provides a downlink signaling enhancement that increases control channel capacity in support of other LTE enhancements such as CA, CoMP, Machine-Type Communication (MTC) and dense small cell deployments. The Enhanced Physical Downlink Control Channel (EPDCCH) will provide increased control channel capacity and flexible resource allocation through the use of legacy data resources for control information transmission. 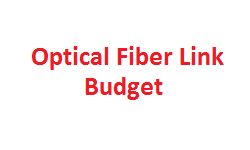 It improves spectral efficiency and control channel robustness through CSI feedback and use of beamforming. The EPDCCH will be able to coexist on the same carrier as legacy UE and it is frequency multiplexed with the existing PDSCH. Enhancements to eMBMS in Release 11 provides support for MBMS service continuity in a multi-carrier deployment of MBMS service. These enhancements allow the network to signal assistance information to MBMS capable devices that include information like carrier frequencies and service area identities where MBMS service is available. A MBMS capable device can also indicate information related to the MBMS services of interest to the network. The MBMS interest indication by the device also allows the device to indicate the priority between MBMS service and unicast service. The network uses the MBMS interest indication provided by the device to ensure continuity of MBMS services. In idle mode, a MBMS capable device can prioritize a particular carrier frequency during cell reselections depending on the availability of MBMS service of interest in that carrier frequency. Energy Saving Features in Release 11 spell out the importance of Energy Savings Management (ESM) for Network Operators to look for means to reduce energy costs and protect the environment. Minimization of Drive Tests (MDT) in Release11 defines detailed mechanisms for Management-Based Activation, Trace Parameter Propagation and Trace Record Collection in the case of signalling-based activation. Release 11 includes Quality of Service (QoS) verification use where MDT data reported from UEs and the RAN may be used to verify QoS, assess user experience from the RAN perspective and to assist network capacity extension. Home eNodeB Enhancements in Release 11 introduce mobility involving HeNBs for X2 handover from/to HeNB to/from macro eNB and Inter-Closed Subscriber Group (CSG) X2 handover towards hybrid HeNBs.